Heat oven to 375°F. Spray 10 regular-size muffin cups (2 3/4x1 1/4 inches) with Crisco® Original No-Stick Cooking Spray. Separate biscuit dough into 10 biscuits. On waxed paper, press each biscuit into 3-inch round. Press each dough round in muffin cup. In medium bowl, stir sour cream, mustard and preserves until well blended. Stir in ham, apple, cheese and onions until well blended. 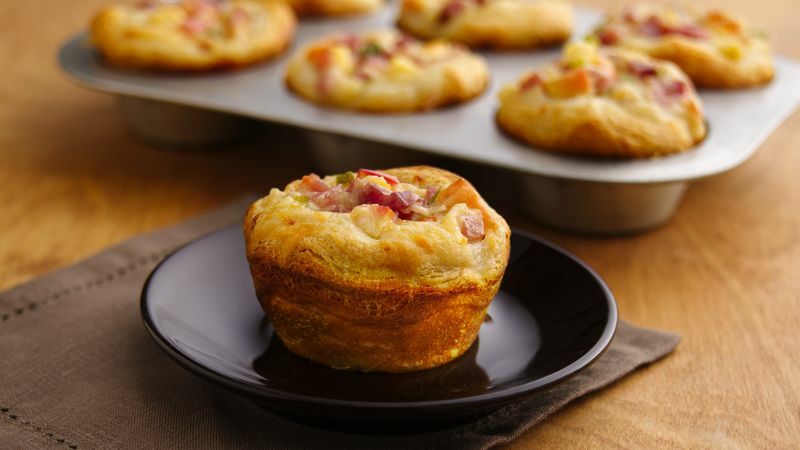 Divide ham mixture among muffin cups. Bake 18 to 25 minutes or until edges of biscuits are golden brown. Cool in pan 5 minutes. Serve warm.